 CrossFit Kids is a challenging, socially interactive strength and conditioning program for elementary school-age children. Our program delivers a fitness that is, by design, broad, general, and inclusive. 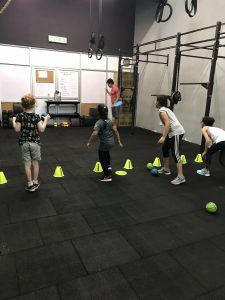 Young athletes learn proper functional movements at an early age in order to facilitate a lifelong commitment to fitness and sport. We also discuss how proper nutrition can keep us all healthy and provide fuel for busy bodies. 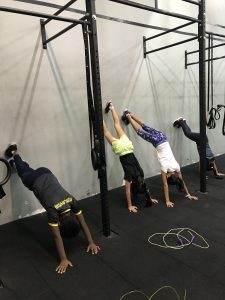 Classes are structured to give kids progressive training in gymnastics and strength training, as well as an increase in self-esteem and confidence. Most importantly, kids have FUN! All coaches have current CrossFit Kids certificates. 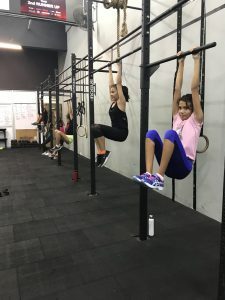 CrossFit Kids are generally for children between 7-12 years old. 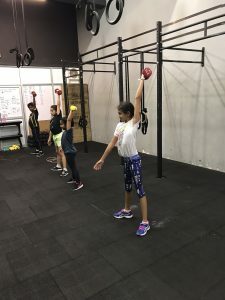 Crossfit Teens caters to 12 – 19 years old. 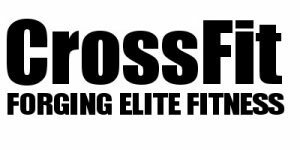 Crossfit on >> What is fitness?